It really looks like SeneGence distributors are quitting in droves, and the numbers of orders are dropping, given this ever-so-slightly panicked and bullying post by a Crown Princess. Do you know how much a 750PV (points value) order costs? It's a lot. Hundreds and hundreds of whichever currency you're working in. In the USA, it's just over $1,000. It also buys you a shitload of stock. 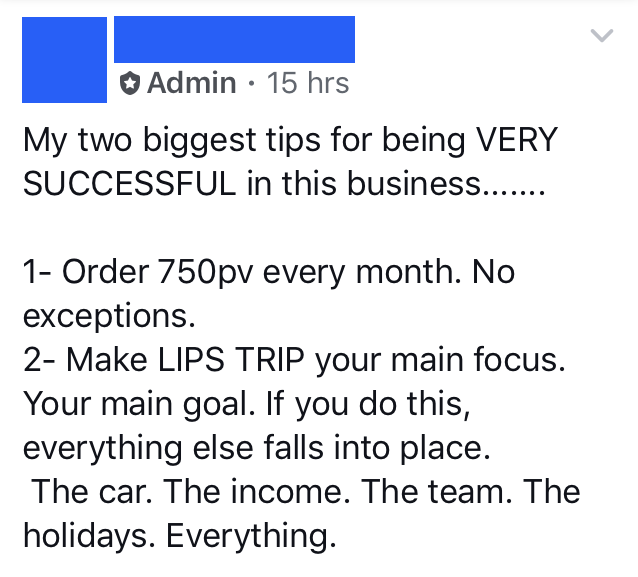 If you were only buying LipSense, that would be 60 tubes of the stuff. SIXTY. TUBES. EVERY. MONTH. So, who is this REALLY benefitting? Sure as hell ain't our CP's downline. Unless they have a large number of customers, with new ones coming in constantly (cos let's face it, even the keenest customers don't need new cosmetics every month), they're only going to be stockpiling & front loading at a great rate. The ones who are brave enough to voice any concerns about how they can't afford it are told “If money's the issue, then there is no issue.” Get out there and sell stock. 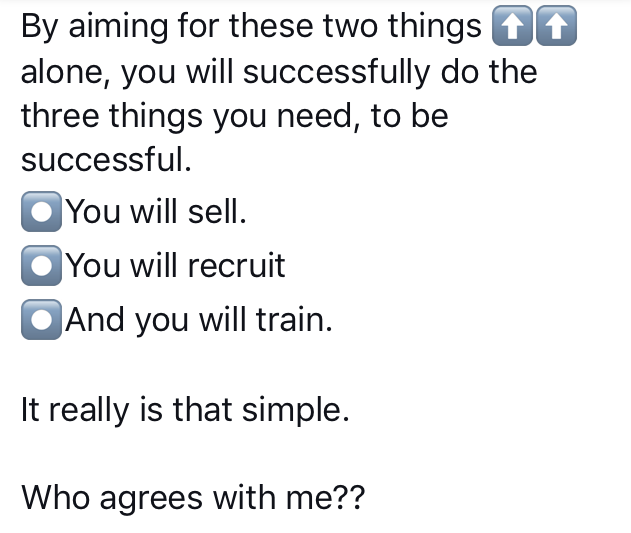 And the only reason they can't sell stock is because they told themselves they couldn't. The Secret and Attraction Marketing are big things in SeneGence. The 'science' of these is completely debunked, but as we know, bad science never stopped them before. But as long as the Cwown Pwincess gets her huge monthly commission payout, does she really care at all about the financial burden she's putting on her downline? We doubt it.